France's leading philosopher Bernard-Henri Levy, says that American journalist Daniel Pearl, who was kidnapped and murdered in Pakistan last year was killed because he knew too much. In an interview with the BBC, Mr Levy said Mr Pearl had uncovered dangerous secrets about the involvement of Pakistan's intelligence service with Islamic extremists. He also claims that British-born Islamic militant Ahmed Omar Saeed Sheikh, convicted of killing Mr Pearl was in fact a double agent working for Pakistan's intelligence service, Inter Services Intelligence (ISI). Mr Levy, who recently returned from investigating the murder in Pakistan, was French President Jacques Chirac's special envoy to Afghanistan. 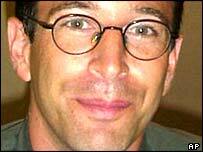 Mr Levy said that Mr Pearl was "kidnapped for one reason and he was killed for another". "He was kidnapped obviously because he was American, Jewish and a journalist - especially because he was American and Jewish in a country, in an area of the world where it is a crime to be Jewish and American." "To be American and Jewish in Pakistan is not an identity it is a sin - it is a crime - this is why he kidnapped," Mr Levy said. Mr Levy says once in the hands of his captors, in the course of his conversations with them, Pearl's abductors realised "that he knew too much", that he was in possession of information too sensitive for him to ever be released. "Everyone knows that Pakistan is a nuclear power but Daniel discovered that the nuclear weapons were less controlled than Mr Musharraf pretends and less under control than the secret services of occidental powers believe." Secondly, according to Mr Levy, Pearl had uncovered information about a shadowy Muslim leader known as Gillani. "He was on the point of discovering the identity, background, roots and area of influence of a very strange man who is called Gillani," Mr Levy said. "He is the chief of a Muslim sect which has one foot in Pakistan and one foot in America and he happens to be one of the masters of Bin Laden - one of the gurus of Bin Laden," Mr Levy added. Mr Levy also claimed to have uncovered information about Omar Sheikh, Pearl's killer, whom he claims is not only connected to al-Qaeda, but to ISI too. "What I discovered is that he is not simply a young guy deciding to kill a Jew. It was a planned crime, organised and done to a cold strategy." "This British man Omar Sheikh is linked to ISI the intelligence service of Pakistan, which means partly to the state of Pakistan and secondly to al-Qaeda," Mr Levy said. 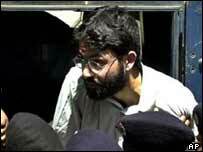 "I think Omar Sheikh was an agent of al-Qaeda, close to Bin Laden, and an agent of ISI."